Frodo: Tell me more of your stories, Uncle! 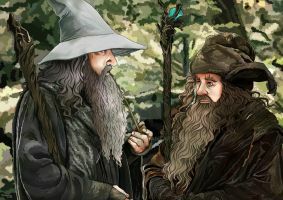 Bilbo: Just a short one tonight, my lad. What would you like to hear? Frodo: Hmm.....the one about the dragon! how do you make that?? Frodo: Can I play with the ring you keep on the mantlepiece? Bilbo: It's just there for decoration, Frodo. Frodo is like itty bitty! I vant to sqveesh heem! Ok, young Frodo is ridiculously adorable! I'm having to fight a fan girl squeal right now! FRODO!!!!!!!! 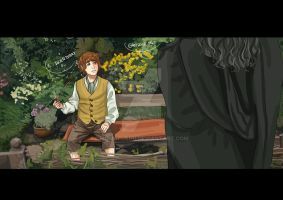 !HGHGJYRJGTJYHGFAYGVJUGFGFGHER AND BILBO!!!! JUST! GAHHHETGUYKMYTJFFGFDHBTYTYTDHZA!!!! PURE AWESOMENESS!!!!!! I love them so much! Are you going to see the movie? I guess you can say I'm just lucky! Love the colors! And it's cute too! hehehe, frodo is so cute! love those furry feet! 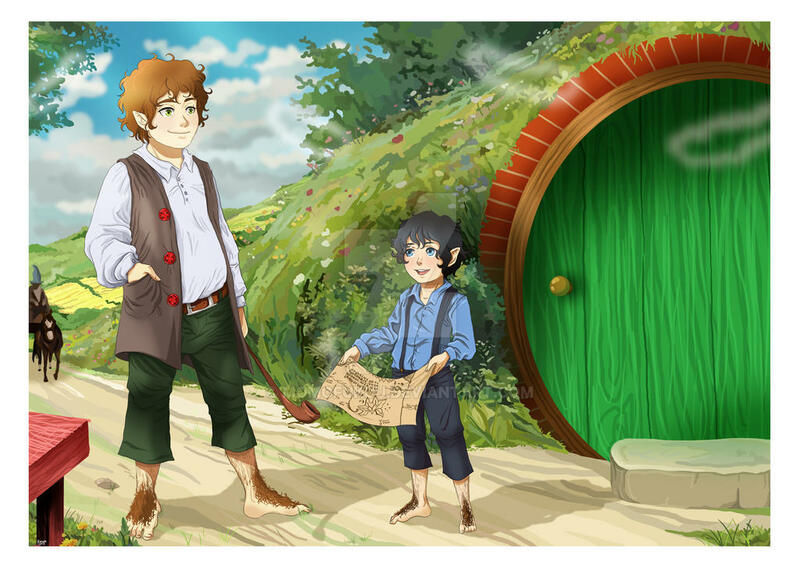 Bilbo is just so... Bilbo in this. His face is near perfect!